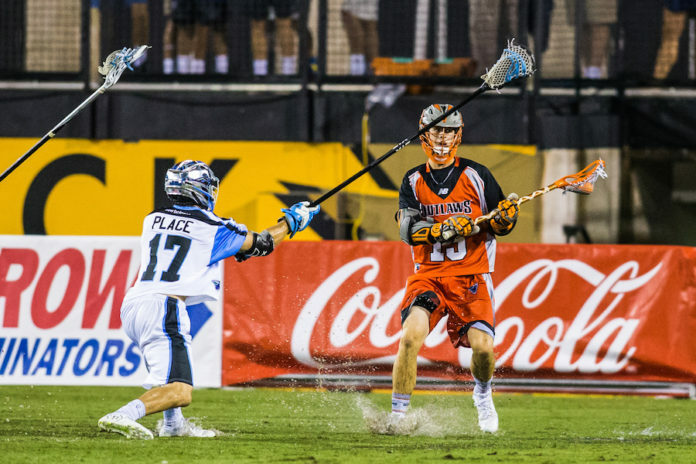 The Denver Outlaws (3-4) will meet against the defending MLL champion Ohio Machine (2-3) on Thursday for the first time in the 2018 regular season since the 2017 MLL Championship game last season. Winning their past two games, the Outlaws will look to extend their winning streak to three straight games with a victory over the Machine. 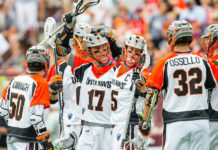 Dropping a 13-8 contest against the Chesapeake Bayhawks last Saturday, and a close 14-12 loss to the Charlotte Hounds, the Machine is currently riding a two-game losing streak and will be looking to snap that when they visit the Mile High City on Thursday. After a faulty start to the regular season, the Outlaws are finally being able to build a winning streak. Hopefully they’ll be able to gain some lost ground and race up the standings to qualify for the MLL playoffs. 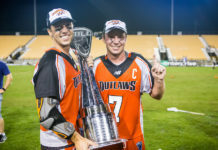 Along with the addition of players like Zach Currier, Denver has been able to find some much-needed scoring behind Outlaws rookie Chris Cloutier — who has recorded 12 points in only two games played. Another player for the Outlaws who has been able to make a difference is newly acquired attackman Kylor Bellistri, with 8 points in three games played with the team. Accompanying the new talent providing the team with scoring, Outlaws veteran attackman Eric Law has 23 points this season and has scored nine goals in the past two games. If you are unable to attend this Thursday afternoon matinee against the Machine, Outlaw fans will be able to watch a stream of the game on Lax Sports Network, or by following along with the Denver Outlaws Twitter page. The game begins at Noon MT.